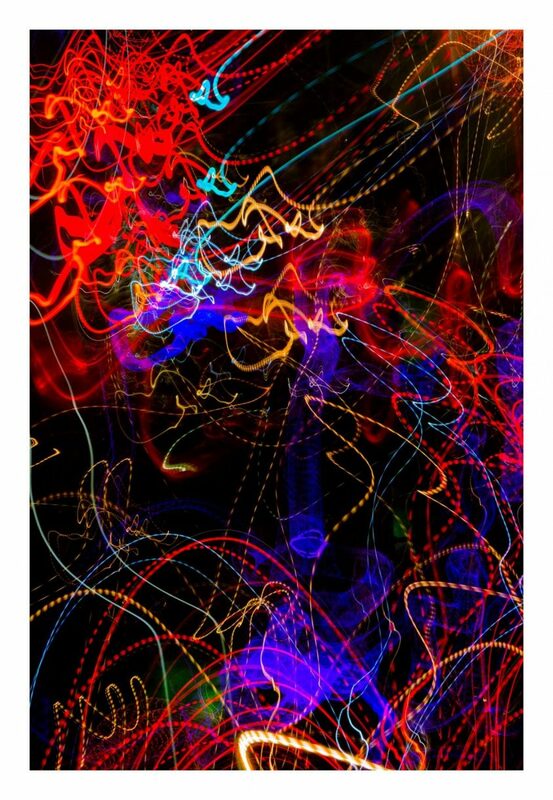 Front Window Gallery is thrilled to present two photographs by Lexi Rueff, each titled Nonsense. 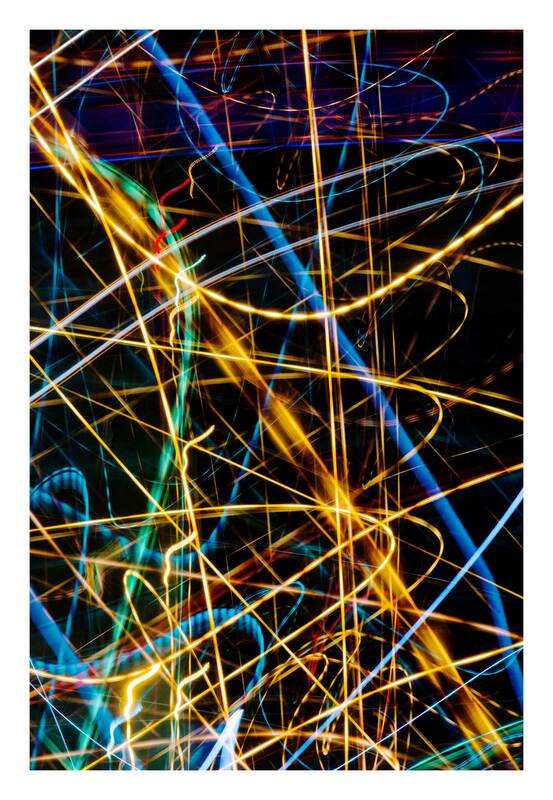 Taken at night, Rueff uses long exposure and jittery, haphazard movements to create sputtering images of colored light streams. The result is an energetic mash-up of neo-Abstract Expressionist gestures with a Coney Island carnivalesque whimsy.